It's time for another challenge over at Christmas Card Challenges. This week we have Photo Inspiration. It's time to start thinking about next year, so why not get started on next years cards now? I can't wait to see what you create. I was inspired by the colors and the candy. I created my background by stamping a large Hero Arts Background stamp with Versamark ink and then I brushed Perfect Pearls in the Perfect Pearl Color over it. It makes a subtle, yet shiny background and it's so easy. I used a Tim Holtz blueprint stamp that I stamped twice, once in Ranger Archival Aquamarine and once in Paptertrey, Ink Raspberry Fizz. The pink paper is also Raspberry Fizz. The blue was a scrap. Thanks for stopping by! 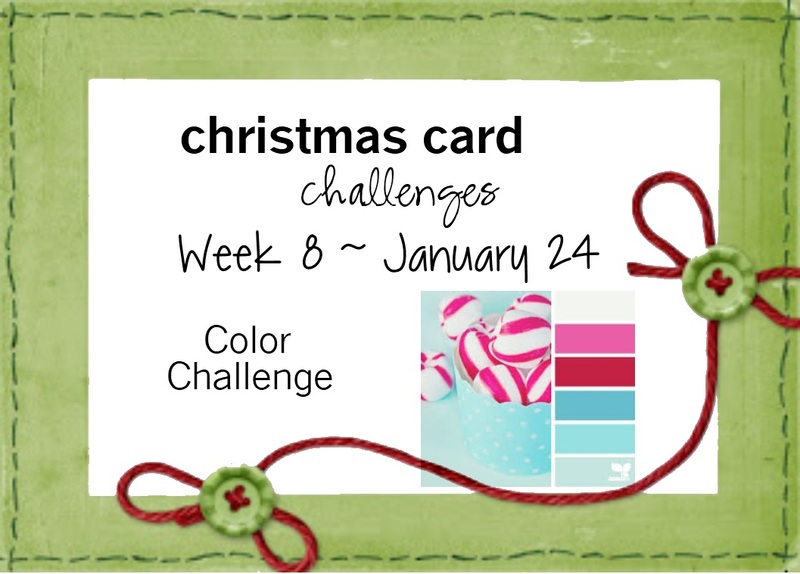 Such a sweet colour combo for Christmas Donna! 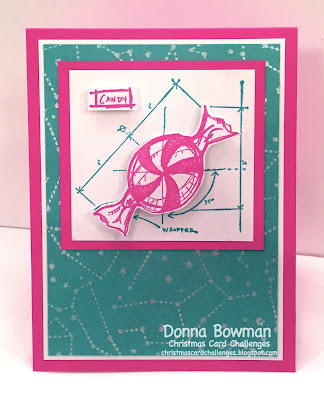 Hi Donna!Love how you used the colors...the candy is just perfect on that background! Great take on the inspiration photo.Love the candy image . Such a 'sweet" card Donna.